Over 250 trail runners and canicross competitors (some of which are pictured) took part in the Cowdray 5k and 10k Trail Run on Thursday 31st May which started and finished at the Cowdray Heritage Site, known locally as the Ruins. Despite threats of heavy showers, the rain held off for the runners to complete the Cowdray Trail Run which passed through picturesque parts of the estate. Organised by Sally Guile of Cowdray Heritage and Jason Rae, from Southern Multisports, they were ably supported by a team of local volunteer marshals and helpers. 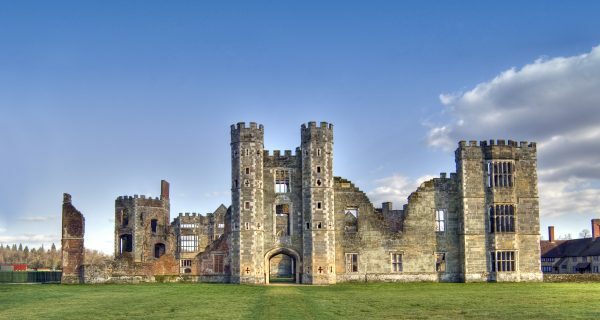 Cowdray’s Operations Manager Sally Guile said: “There was a fantastic atmosphere at the Ruins, with many runners excited to access parts of the estate normally closed to the public. We were delighted that so many canicross runners took part in the event and that the run attracted such a mix of ages. The Trail Run was also attended by the team at Midhurst’s independent bike shop All Ride Now who guided the routes on their e-bikes, and Lululemon had a stall showcasing their high-quality fitness attire. Osteopath Gina Guscott, a therapist from Cowdray Hall, offered free mini sports massages, Easebourne Scouts helped at the event and Platinum Ambulance Service who were on duty throughout. The Cowdray 10k men’s race was won by Simon Gill and Michael Rix was the winner of the men’s 5K. The Cowdray 10K women’s race was won by Emily Iredale and the 5k by Caroline Wood. Cowdray’s Clare Allen came second in the women’s 5K race. All participants were presented with a Cowdray race medal on completion of their race.